Powered by the magic of Adobe Photoshop technology, Lightroom for mobile enables you to craft and share professional-quality images from your smartphone or tablet. The raw HDR capability provides you the best all-in-one photo app by delivering superior image capture, processing, and quality with the greatest amount of editing flexibility and control. Adobe pushed out some pretty substantial updates to its Photoshop Lightroom iOS apps today that contain support for Apple’s Pencil stylus and 3D Touch finger editing. Now, if you’re using Lightroom on an iPad Pro with the Pencil, you can apply pressure with the tip of the device to selectively apply changes to brightness, exposure, and other settings. Adobe is calling this the Brush Selection tool, and it also works on iPhones with 3D Touch. Just press harder with your finger on the screen over the desired area to achieve the same effect. 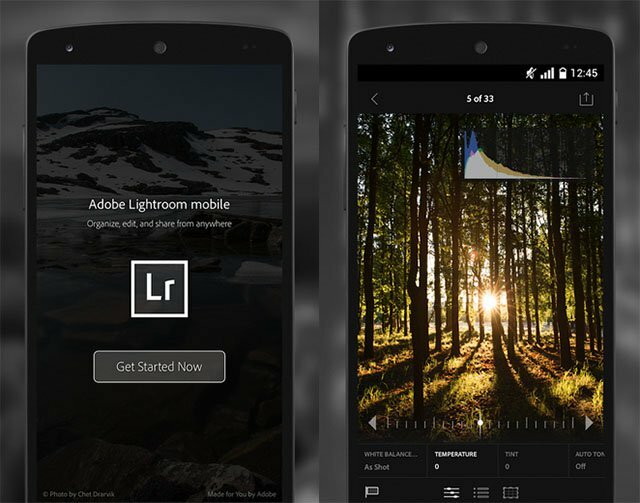 Adobe wanted to provide the best Android experience possible so they redesigned Lightroom for Android from the ground up to be faster, more efficient, and, well, more Android-y,” Adobe says in today’s announcement. “Every screen has been redesigned with the goal of ensuring a natural, native Android experience while providing the highest quality, professional-grade mobile photo editing app ever.